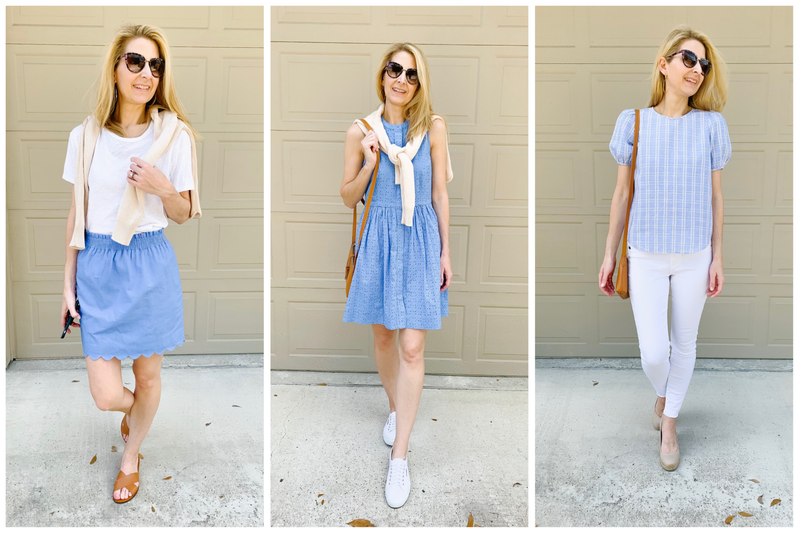 By popular request I am sharing a classic Spring Capsule Wardrobe and how to create one using key wardrobe staples you may already have. A capsule wardrobe is a collection of a 15-20 essential items that can be worn in a variety of ways. If you are often overwhelmed by your closet and looking to simply another aspect of your life, you may want to try it! Dressing with less options in front of you helps alleviate decision fatigue and focus your time and energy on what really matters. To create your capsule wardrobe, the first step is to take inventory of what you have. What are your favorite pieces? What do you continually reach for? (White jeans and regular jeans!) What makes your feel most comfortable? With a little narrowing, what pieces would you go back to the store and buy again if you had to? What pieces can you accessorize easily? The next step is to identify a color scheme or pattern that will help you mix and match easily. This will also help you to choose other pieces to incorporate in when the time comes. (I do this for my girls, but I never thought about doing this for myself until recently!) 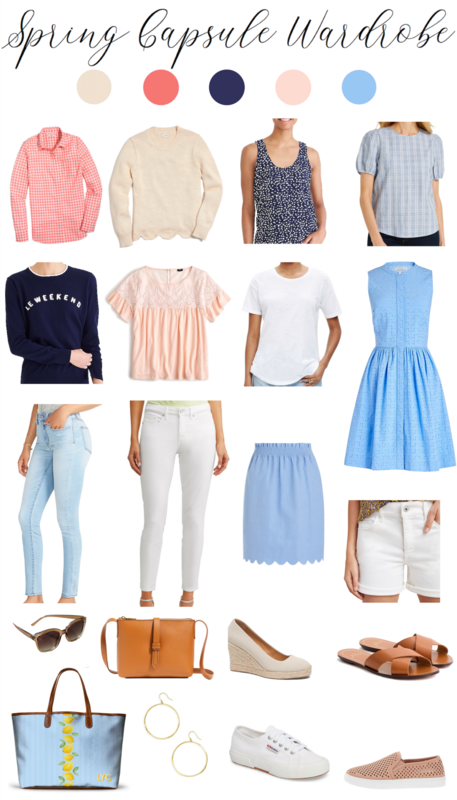 This spring I chose a variety of blues and pinks. Finally, be creative with how you wear your pieces. Layering is an easy way to find a new look. Switch up your shoes to dress outfits up or down, especially dresses. Use your sweater as an accessory around your neck or waist. Tie the ends of your button-up shirt or tuck it in to create a new look. There are so many ways to make your capsule wardrobe go further. These outfits below will take me from weekday to weekend, carpool line to school meetings, soccer games to coffee with friends. I hope it inspires! 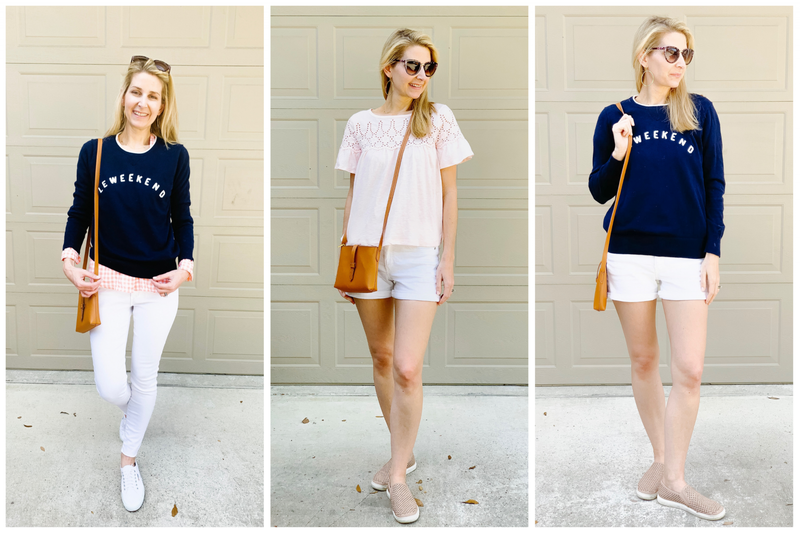 What’s In My Spring Capsule? 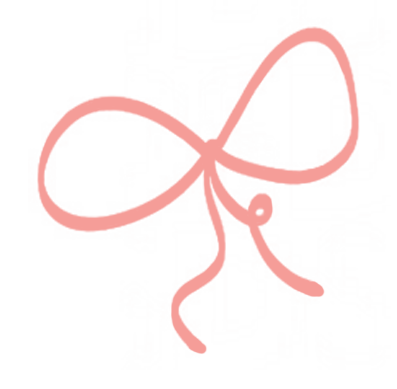 Have you made a capsule wardrobe? What’s in yours? Pin this post for inspiration! 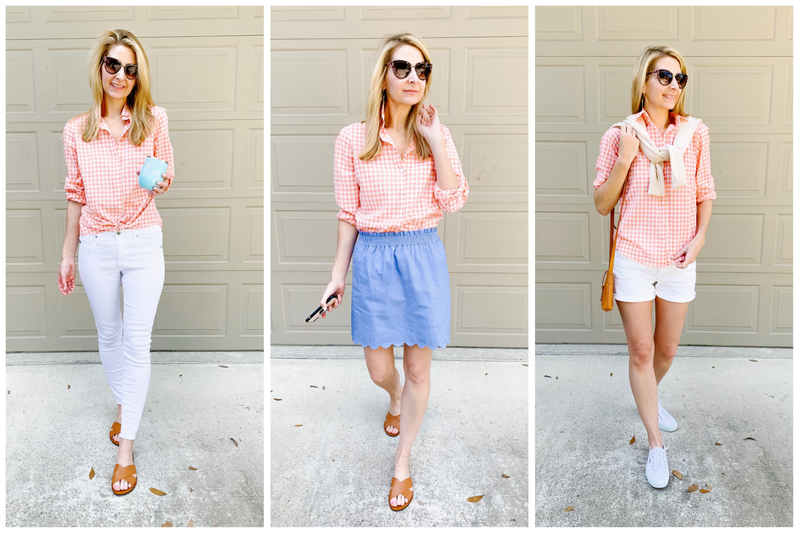 An Effortless Everyday Look with Walmart!